Heavy duty waist clincher with steel bones , front busk fastening and back lacing. 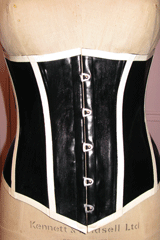 Waist clincher will reduce waist size. It is 10 inches in width. 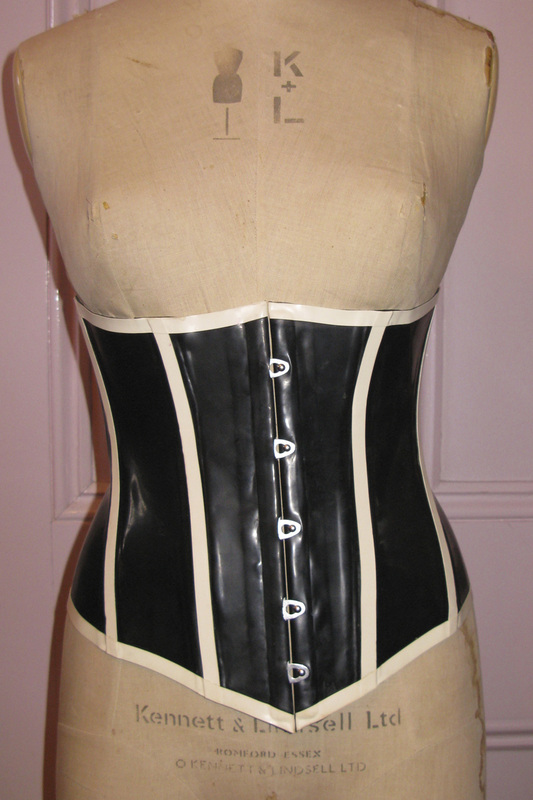 Waist clincher available with contrast edging or same colour latex as main garment.